Chef AJ is a chef and culinary instructor in Los Angeles, and former Executive Vegan Pastry Chef at Sante restaurant, specializing in in plant-indulgent food that is free of sugar, oil, and salt. She teaches how to create meals to transform your health, how to deal with cravings and food addiction, and addresses the emotional side of eating. 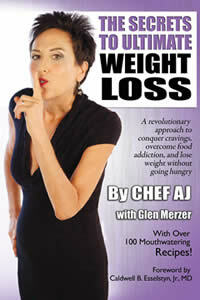 Chef AJ is the author of Unprocessed: How to Achieve Vibrant Health and Your Ideal Weight and The Secrets to Ultimate Weight Loss: A revolutionary approach to conquer cravings, overcome food addiction, and lose weight without going hungry. 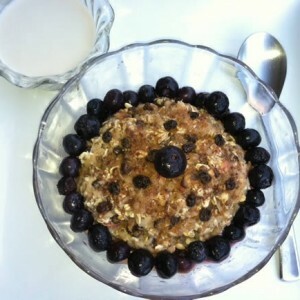 Visit her website, her YouTube cooking show The Chef and the Dietitian, and find her on Twitter and Facebook, and Instagram. 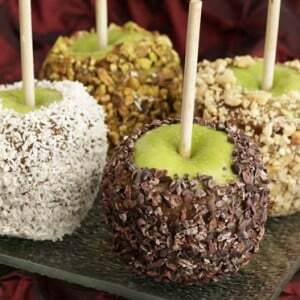 Although they’re perfect for the Fall or Halloween, you can enjoy this healthy treat any time of year! They look just like the “real” thing and kids of all ages love them! 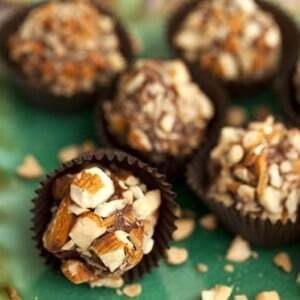 These chocolate truffles are raw, vegan, and unprocessed… and filled with delicious! Within six months of eating a Whole-Food, Plant-Exclusive diet free of all processed food, and all sugar, oil, and salt specifically (all sugar and oil are highly processed), all of the polyps disappeared and I regained my health without drugs or surgery.